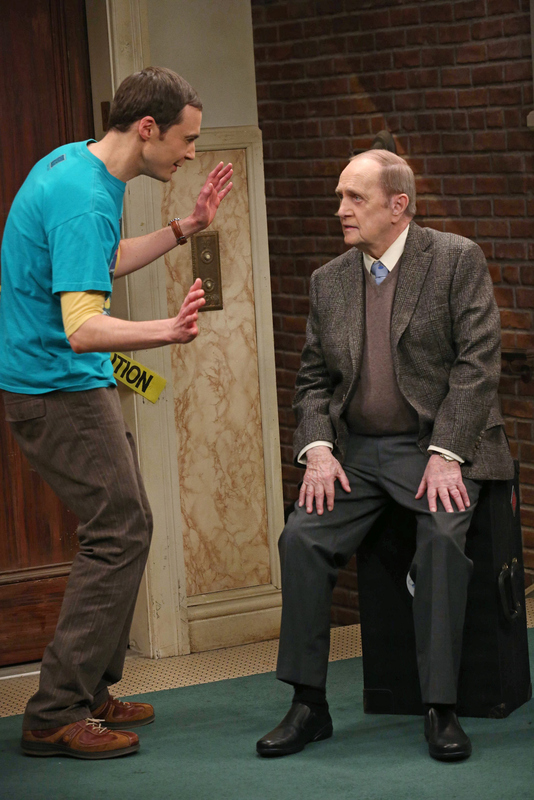 Sheldon (Jim Parsons, left) and Leonard hire Professor Proton (Guest Star Bob Newhart, right), the host of their favorite childhood TV show, to perform, on THE BIG BANG THEORY, Thursday, May 2nd on the CBS Television Network. Photo: Michael Yarish/Warner Bros. ©2013 Warner Bros. Television. All Rights Reserved.